On average, patients lose 50-100 hairs every day. However, those suffering from hair loss m ay find themselves losing twice, or even three times, that amount. This amount of hair loss often results in thinning hair and bald patches, which can be difficult symptoms to live with. While hair loss is a common condition, understanding the cause of it can be challenging. 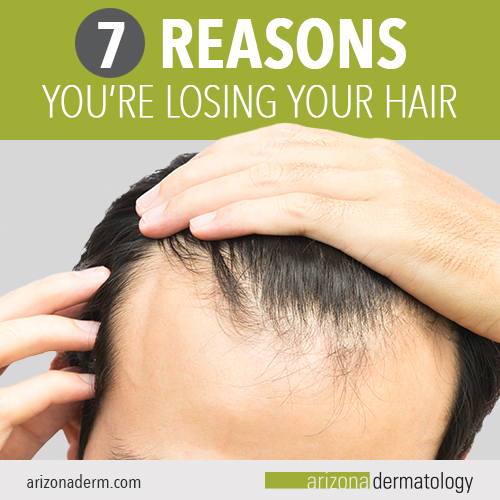 Here, we’re sharing the top seven reasons you may be losing your hair, and what you can do about it. With time, hair undergoes numerous changes. For example, hair cells may stop producing pigment, resulting in a gray appearance. The follicles themselves may also get smaller, which causes thinner, finer hair that’s more prone to breakage. Men and women experience hair loss differently as they age. Male pattern baldness begins at the hairline, which recedes, while the hairs on the sides of the head usually remain. Female pattern baldness commonly does not occur at the hairline. Instead, it involves hair loss on the crown of the scalp. Female pattern baldness also rarely progresses to total baldness, while male pattern baldness typically does. In some instances, hair loss may be unavoidable due to genetics. The genetic cause of hair loss is very complex, with one study showing that more than 280 genes are involved in determining if you’ll be prone to hair loss. Despite the complex science behind hair loss, a good rule of thumb is to look towards your parents. If your parents experienced hair loss as they aged, or had thin hair to begin with, it’s likely you will experience similar symptoms as well. Physical and emotional stress can take a major toll on many areas of your life. The health of your hair is no exception. Hair loss due to stress can take place anywhere from six weeks to three months after a stressful event. While every patient reacts to stressful situations differently, some common emotional situations that may lead to hair loss include a serious illness, death of a loved one, loss of a job, or serious financial troubles. If your hair loss takes place as a result of a stressful situation, the hair loss will stop after the stressful period is over. Have you been paying attention to what you eat? Hair loss is a symptom of many common dietary deficiencies. For example, a diet that lacks protein is a common deficiency that leads to hair loss. The logic behind this is simple. Your hair is made of protein. If you’re lacking protein, your body will divert to using the protein from your hair to support other areas of your body. This process leads to fine, thinned out hair. By altering your diet, you can easily stop this kind of hair loss without medical intervention. Many commonly prescribed medications cause the unwanted side effect of hair loss. Prescription medications can interfere with your normal cycle of hair growth, leading to fine, thin, or balding hair. If you suspect your medication is causing hair loss, we recommend talking to your doctor. 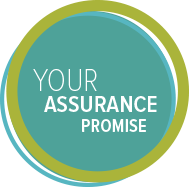 Your doctor may be able to prescribe another course of treatment, depending on your individual circumstance. Having too much or too little of certain hormones can cause hair loss. It can be difficult to pinpoint which hormone is the cause, which is why we recommend visiting your doctor. If you suspect a hormone imbalance is to blame for your hair loss, a blood test can help you accurately determine which hormone is causing your symptoms. Many women notice hair loss in the months following childbirth. This is a common symptom. During pregnancy, estrogen levels are higher than normal, causing excess hair growth. After childbirth, estrogen levels return to normal. The hair that was growing during pregnancy can then enter a resting state, which can lead to the hair falling out. While this may seem like a heavy loss, this process is just your hair going back to its pre-pregnancy thickness. The way you style your hair may also contribute to hair loss. Using hot tools such as blow-dryers and flatirons on a regular basis can cause thermal damage to your hair. We recommend avoiding these products whenever possible. However, if you insist on using hot tools, try to use them on the lowest heat setting possible to avoid thermal damage. Using a heat protectant to protect your hair from damage is also a good idea. If you regularly put your hair in tight ponytails or wear hats or headgear, your hair loss may be caused by traction alopecia. Traction alopecia is hair loss that’s caused by an excessive amount of force applied to the hair follicles. This extra force, oftentimes caused by hats, headgear, and tight hair styles, can cause follicles to break. The good news about traction alopecia is that the hair loss should stop upon halting the habit that’s causing it. If you find yourself experiencing hair loss, you may be questioning what you can do about it. At Arizona Dermatology, we offer several highly effective treatments that can help improve the look and feel of your hair. Hair laser therapy is a painless medical treatment that restores hair. At Arizona Dermatology, we offer two kinds of hair laser therapy, cold laser therapy and low-level laser therapy. Cold laser therapy increases blood flow and nutrient delivery to hair cells, to promote healthy growth. Low-level laser therapy uses a LED light to stimulate cellular activity. This increased cellular activity accelerates cell turnover, resulting in thicker, stronger hair. As industry experts, we use a cutting-edge hair transplantation technology called Follicular Unit Transplantation. The result of this transplantation is a thick, natural looking head of hair that you can wash, style, and maintain for the rest of your life. Once your treatment is complete, you will never lose hair in the treated area(s) again. PRP, or Plasma Rich Protein, therapy is an all-natural treatment that stimulates hair follicles with growth factors that encourage cell regeneration. Using several small injections, this treatment results in healthier, larger hair follicles which increases hair growth. If you’re tired of living with hair loss, we’re here to help. Schedule an appointment today to explore remedies and treatment options with one of our highly skilled doctors.